Murder by Gaslight: The Worst Woman on Earth. The Worst Woman on Earth. Paul Halliday, a Union Army veteran, bought a farm in Sullivan County after the war, and there he and his wife raised five children. 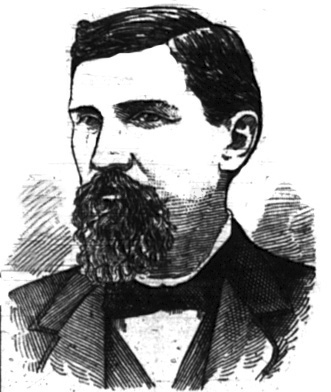 By the end of the 1880s, his wife had died and four of his children had married and moved away, leaving Halliday with no one for company but a mentally handicapped son. He lost all interest in life. His only business was burning charcoal, but he spent the small income it generated at the local tavern. Halliday’s life changed drastically when he hired a young Irish girl named Lizzie Brown as a live-in housekeeper. Paul Halliday and Lizzie Brown were soon married, though Mr. Halliday was at least forty years older than his new bride. The neighbors laughed at Halliday behind his back, but they grew to fear his young bride. She was a short, stout woman with reddish hair and a pointed nose; her most disturbing features were her dark blue eyes, sunken under heavy brows, giving the appearance of serpent’s eyes. She had an erratic disposition and was known to wander through the woods late at night. The neighbors believed she was a gypsy, and studiously avoided her. About two years after the marriage, the Hallidays’ farmhouse caught fire. Mrs. Halliday ran to alert the neighbors, but it was too late, the house burned to the ground and Paul Halliday’s son was burned to death inside it. It was well known that Lizzie Halliday hated the son and the neighbors believed that she had deliberately started the fire to kill him, or had murdered him in the house and set it ablaze to hide her crime. Lizzie was arrested, but there was not enough evidence to hold her. A year later Lizzie was arrested again, along with another man, for stealing horses. This time she was declared insane and committed to the Middletown Asylum. She was transferred to the Auburn Asylum, and on this trip she turned violent, smashing the windows of the omnibus and attacking the sheriff. She was transferred again to the Matteswan Asylum, and she was violent there as well. But when the case against her for horse theft was dismissed, Lizzie showed a marked improvement in her mental health. The doctors declared her cured, and her husband came and took her back to the farm. Hers was a remarkable career, showing that she possessed either a wonderful aptitude for crime or a strangely disturbed mind. Perhaps both of these endowments were hers. While the neighbors in Mukakating stayed away from the Hallidays, they kept an eye on their movements, expecting more violence. In August 1893, they noticed that Paul Halliday had been absent from his farm for several successive days. When a group of neighbors, including Mr. Halliday’s son, asked Lizzie where her husband went, she said he had gone to Bloomingburg to do some masonry work. This was not believed and the men went to the justice of the peace for a search warrant. Inside the house they found a piece of carpet, freshly stained with blood, a spent cartridge from a revolver, and a piece of blood stained rope. Lizzie turned violent again, and hit one of the men on the head with a board. They managed to calm her down, and she agreed to take her stepson to Bloomingburg and show him that Paul Halliday was not dead. While they were gone the search party continued looking for the revolver and any more signs of foul play. In the barn they found a large amount of hay recently piled against the wall, an they began digging through it, expecting to find the body of Paul Halliday. To their astonishment, what they found were the bodies of two women—one middle-aged, one younger—riddled with bullets and badly decomposed. Their hands were tied across their chests and their feet and knees bound with ropes. Lizzie Halliday was brought back and an inquest was held on the murders. 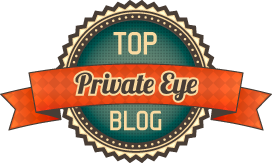 Throughout the proceedings, Lizzie behaved in an insane manner, tearing at her clothes and making irrelevant remarks, oblivious to any questions asked her. The inquest was inconclusive, Lizzie was held as a witness, and the debate continued over whether she was truly insane or merely faking insanity. The following day, the bodies were positively identified as Mrs. Margaret McQuillan and her daughter, Sarah, who had been hired by the Hallidays. The search of the farm continued to uncover evidence. First, two thirty-eight caliber pistols were found, then, under the floorboards of the kitchen, searchers found the body of Paul Halliday, with a fractured skull and three bullet wounds to his chest, and bound as the others had been. The same day, Lizzie Halliday attempted suicide in here jail cell, by removing her garter, breaking it, then twisting it around her neck and pulling with all her strength. The suicide attempt had not been successful there but there was continued fear for Lizzie Halliday’s safety, both inside and outside the jail. It was reported that a band of gypsies had arrived at the Hallidays’ house and declared that they were going to have the woman. Also, a group of local citizens formed a lynch mob and declared their intention to have Lizzie as well. Neither of these groups made good on their plans and the excitement subsided following the funeral of Mr. Halliday. 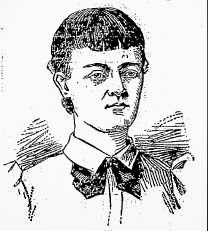 Lizzie Halliday was indicted on three counts of murder and a trial was planned for the following spring. In the interim, Lizzie was still making news, as details emerged of her life in Ireland. According to Paul Halliday’s son, Robert, Lizzie had come from Ulster, in the north of Ireland, She told him she had killed a man in Belfast, but the murder was so cleverly done that it was never found out. Other accounts said the man she murdered in Ireland was her first husband. While in jail in Monticello, New York, Lizzie continued her violent outbursts and suicide attempts. She was ultimately shackled to the floor of her cell for the protection of herself and others. Authorities were convinced that she was a psychopathic killer. The sheriff went so far as accusing her of being “Jack the Ripper:"
:…recent investigations show that Mrs. Halliday is in all probability connected with the famous Whitechapel murders. It has been proved that she was in Europe at the time. She frequently refers to the subject, both when she is in possession of her mental faculties and when she is raving. Mrs. Halliday is constantly speaking of these murders. Crowds from all over New York State came to Monticello to watch Lizzie Halliday’s trial that June. Many treated the occasion as a holiday and brought their children along. Judge Edwards had to remind the spectators that a courtroom was not a place of amusement and threatened to clear the courtroom if the levity continued. The case against Lizzie was circumstantial but strong. Her attorney did little to challenge the testimony of prosecution witnesses, confident that Lizzie would be acquitted by reason of insanity. Several doctors from the asylums where Lizzie had been previously kept, testified that she was insane. The prosecution rebutted with medical testimony saying that Lizzie was not insane, and many people expressed the opinion that she had been acting the whole time. In the end, the jury believed the prosecution and convicted Lizzie Halliday of first-degree murder. 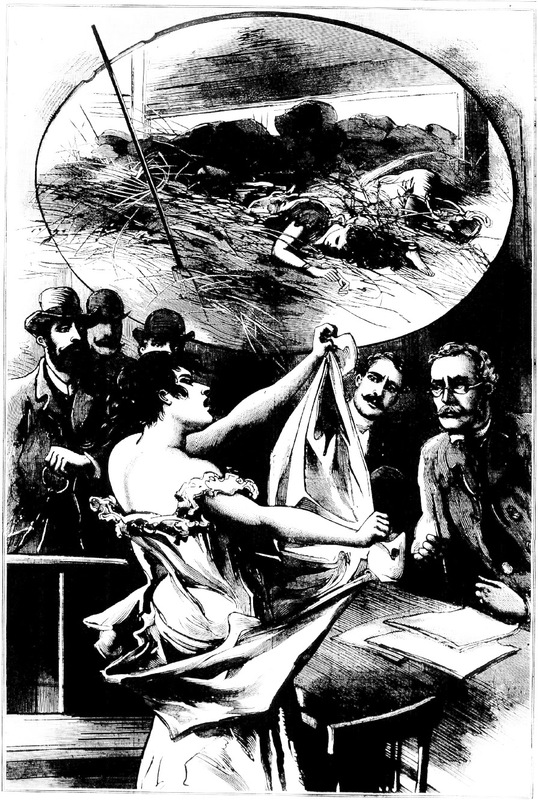 Lizzie was sentenced to death by electrocution on August 6. 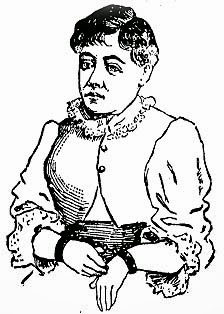 She would have been the first woman to be executed in the electric chair, but New York Governor Flower, on the advice of a commission formed to judge her sanity, commuted Lizzie’s sentence to life in prison. Lizzie was sent to the Mattawan State Asylum where she continued causing trouble, with attempts at suicide, escape attempts and assaults on attendants. But eventually she settled into life at the asylum and even appeared in plays produced by the inmates. After twelve years in the asylum Lizzie became one of the most trusted patients there. Her good behavior was attributed to the attention of a young nurse named Nellie Wicks for whom Lizzie had a great deal of affection. In 1906 Nellie Weeks decided to leave the asylum and become a private nurse. This news was devastating for Lizzie Halliday and she threatened to kill her nurse if she tried to leave. The threat was not taken seriously, but on September 27, 1906, Lizzie followed Nellie Weeks into the lavatory, locked the door, and began stabbing her with a pair of scissors. Miss Weeks died two hours later. "The Burlingham Murder." New Haven Register 7 Sep 1893. "Crimes That Only a Fiend Could Commit." New York Herald 6 Sep 1893. "Exciting War Play Produced By The Insane Inmates Of Matteawan Asylum." Kalamazoo Gazette 1 Nov 1898. "Halliday's Bullet Riddled Body Found.." New York Herald 8 Sep 1893. "Insane Woman Kills Nurse She Loved." Boston Herald 28 Sep 1906. "Lizzie Halliday Dead." New York Times 29 Jun 1918. "Lizzie Halliday's Past." New York Tribune 9 Sep 1893. "Mother And Daughter Both Met Their Death on the Halliday Farm." Trenton Evening Times 7 Sep 1893. "Mrs. Halliday Anxious to Die the." New York Herald 12 Dec 1893. "Mrs. Halliday to Plead." New York Herald 19 Jun 1894. "Murdered By a Woman. "National Police Gazette 23 Sep 1893. "Murdered Women Found in a Barn." New York Herald 5 Sep 1893. "She is a Murderer." New York Herald 22 Jun 1894. "Was a Triple Murder." New Haven Register 7 Sep 1893. "Whitechapel Murders." Kalamazoo Gazette 3 Dec 1893. "Will Not Execute Her." New York Herald 17 Jul 1894.